PA State Rep. Jack Rader - Radon – Is Your Home Safe? Need Help Filling Out Your Property Tax/Rent Rebate Application? Residents who filed a Property Tax/Rent Rebate Program application in past years may have already received or will receive in the near future a new application to re-apply for the program. If you have received the application and would like assistance filling it out, please feel free to contact my Effort district office by dialing 570-620-4341 or my Tobyhanna district office by dialing (570) 643-7683. New applicants will be able to access applications in my district office once we receive them from the Pennsylvania Department of Revenue. If you would like to receive an application once they are available, please contact one of my district offices. More information about the program, including eligibility guidelines, is available on the Department of Revenue website. 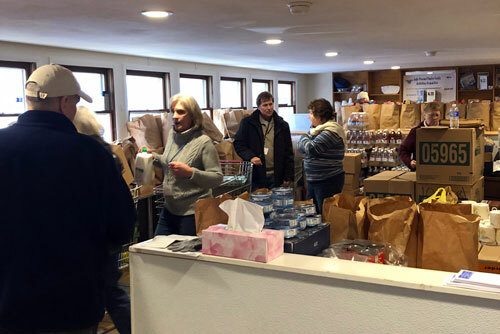 My staff and I last week were at the Five Loaves Food Pantry in Pocono Pines to help constituents who needed assistance applying for or information about state government programs and services. We visit the food pantry every month to deliver constituent services to people who might not be able to travel to our district office.